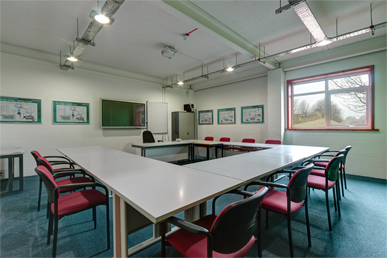 We have 3 new modern classrooms, with underfloor heating, interactive whiteboards and Wifi access. 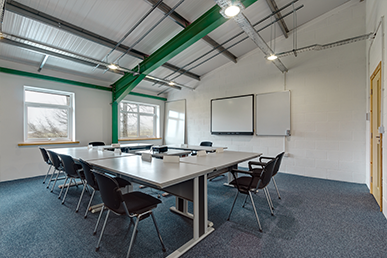 The practical work area is used to demonstrate the equipment and allows students hands-on experience of the practical skills required by the course. The dining room can sit 40 students and has its own kitchen to provide on-site refreshments. The open-to-view plant room which services the whole builds’ energy needs, demonstrating how different sources can be combined together to maximise efficiencies. Tours can be provided by arrangement. 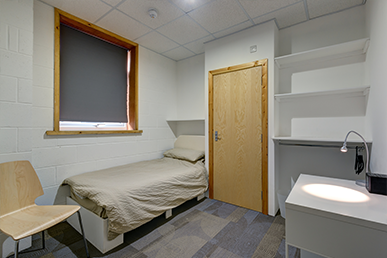 The Centre has its own accommodation of 13 rooms which can be used by candidates attending centre courses. All bedrooms are en-suite. The toilet facilities include a disabled toilet with shower wet room. There are ample car parking bays around and behind the centre for the use of all visitors and students.